New free utility CloudClip for iOS (universal) and CloudClip Manager for Mac allows you to share stuff from your clipboard across devices. Moreover, the Mac app also acts as a very handy, full-featured yet simple free clipboard manger, saving everything you copy or cut. The developer of the app said that they will try to keep both versions free and devoid of advertisements and in-app purchases for now. And I have really found the suite useful. CloudClip Manager for Mac is available in the App Store. It runs in your menu bar with your other utilities. When you click the icon, you see a list of recent clippings you have made. This list is synced with the cloud and available on your other devices when you open the app. On iPhone and iPad, your clippings cannot be synced all the time. However, the app automatically pastes whatever you are carrying on your clipboard into itself and syncs it as soon as you open the app. So you can open the app as needed. 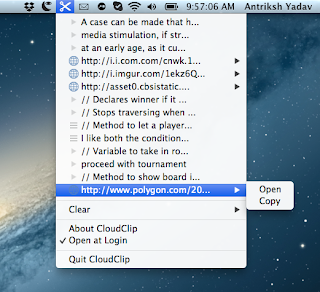 You can clear your recent clipboard history or specific entries from either version at any time you want. What's even more interesting is that CloudClip is smart enough to understand what you have on your clipboard. On iPhone, it will let you directly go to a website or map location, dial a copied phone number etc. 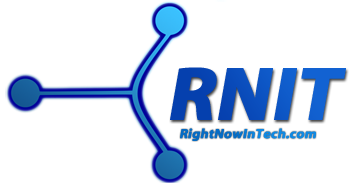 contextually, meaning it will understand if you have copied a URL, phone number etc. I have used the app when iCloud tabs hiccups between my Mac and mobile devices and even during research for class. I was reading an article on iPad and jotting down notes on iPhone. Evernote wasn't syncing properly, so I only had newest version of my notes on my iPhone. I would select text on the iPad and quickly switch to CloudClip. Then I would open CloudClip on the iPhone and one tap would copy the newly-synced text from the iPad and ready to paste in Evernote. Get CloudClip before while it remains free!